Regulators have suspended the license of a doctor in Chicago who allegedly gave patients modified vaccinations containing cat saliva and vodka. The Illinois department of financial and professional regulation ordered the emergency action in the interest of public safety, according to paperwork signed by acting director Jessica Baer. After hearing complaints from health care providers that children were getting unapproved oral versions of childhood shots from Dr. Ming Te Lin, investigators visited Lin’s practice. Lin told investigators he had been preparing alternative vaccinations for children for more than a decade, according to the order. Despite his unapproved methods, Lin is accused of signing state forms certifying he had given pediatric patients their conventional shots. 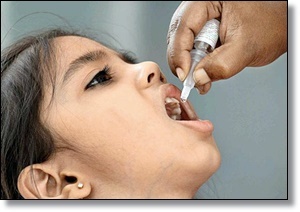 Charts showed the patients who received unapproved oral vaccines included a seven-day-old infant. A phone message and email seeking comment from Lin on the allegations were not immediately returned. Lin added alcohol and sometimes cat saliva gathered with a swab from a cat’s mouth for patients with allergies, he told investigators, and he used a device called the “WaveFront 2000” to detoxify vaccinations from mercury. Lin gave vaccines orally or in a nasal form if the patient or a family member had a history of autism, eczema or neurological disorder. None of Lin’s methods is approved by the Food and Drug Administration or regarded as legitimate medicine. He didn’t inform his patients of the risks of failing to follow vaccine guidelines, the state’s paperwork says. A hearing before the Medical Disciplinary Board is set for 11 October in Chicago.